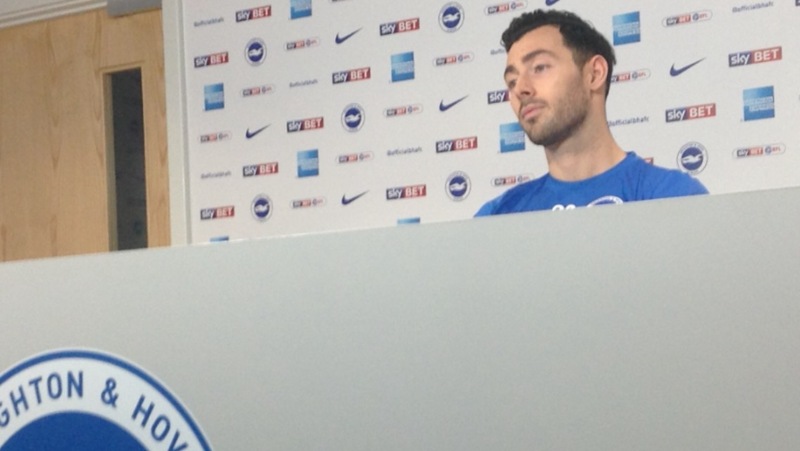 Earlier this week Brighton and Hove News caught up with Albion’s young Irish midfielder Richie Towell. Here are a few things he told us. 1) The former Dundalk player wants to seize his opportunity in the FA Cup team by showing gaffer Chris Hughton that he can create chances, be competitive and hopefully get a goal. 2) Towell scored 43 goals in 96 appearances for Dundalk before joining Albion. He said that he notched 29 in his final season – and how he would like to get at least half that amount for the Seagulls. 3) He played 19 times for SPL side Hibernian as a right back when ex-Albion assistant manager Colin Calderwood was Hibs boss.